If you feel a certain affinity for a place or time; be able to explore further with hypnosis, to see if there is a link with these things & a past life you’ve lived! Past Life Regression deals with the concept of time being linear. On the PLR (Past Life Regression) Hypnosis MP3, you will travel backwards in time through your own lifetimes. In doing so, you will be able to access problems which occurred in past lives and rectify those problems through the safe, simple and direct techniques offered in this recording. Many people when they first learn about past life regression are fascinated about the idea about having lived before. I, myself, have discovered several past lives. One in which I was a painter in France, another in which I was a Viking warrior and another in which I was a hand surgeon in ancient Egypt. By recalling and reliving past lives, there can be tremendous therapeutic value. For example, I once had a client who had been afraid of wearing turtle neck shirts. Upon regressing her to a previous life, she discovered that she had been hanged from a tree until dead. By reliving this past life, she was immediately released from her dislike of turtle necks when she realized that it was based on events which no longer applied to her life. She was able to let go of this event and move forward with her current life. To this day, she is no longer concerned with wearing turtle neck shirts or sweaters. Sometimes we live lives with people many times. Meaning, we have lived a life with them in the past where they were perhaps our brother, son, daughter, husband, etc. and currently we may be living a life with that same person in a different capacity. Perhaps someone who was previously male is now a female. Perhaps a person who was previously a son is now our mother. This is not uncommon and by revealing the previous identity of this person certain interpersonal relationship issues can be resolved or at least brought out into the open where they can be examined in the full context of existence. By having this overall view, which I refer to as the full context, we can see that we interact with many people through many different lifetimes in many different capacities. I invite you to explore your past lives, you past relationships and to discover how they relate to your current relationships and your current living situation. 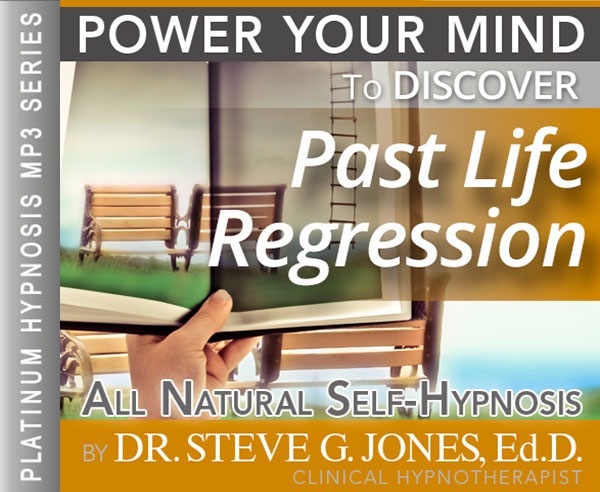 I feel that like me, you will have tremendous insight after going through the PLR (Past Life Regression) Hypnosis MP3 session and listening to this recording for 21 nights in a row. I suggest 21 nights in a row of listening because this is the optimal time for creating change in your life. By listening every night as you go to sleep to this, or any other of my recordings, you insure that your brain gets the proper messages, is able to make the proper changes, and has mastered the skills on the particular recording. Hypnosis does not deal with current visuals or even a current state of awareness. That is why it is so effective in helping bring to the forefront experiences from either the past of this life, or another life lived in another time or body form. Many people, even some of those in the medical profession, believe that by revisiting a past life through hypnosis, you can answer questions from the past and even cure that which ails us today. Hypnotherapy takes hypnosis one step further. It not only relaxes the mind and body so that images and memories from the past can come forward to the conscious mind, but it uses that information to help us today. That “help” may simply be in the form of inner peace or it could in fact be the answer to a medical issue or emotional barrier in the present time. 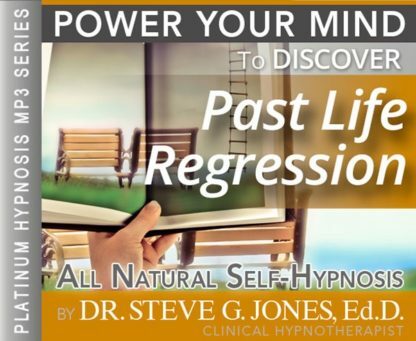 Steve G. Jones is a clinical hypnotherapist who has helped many people revisit past lives through hypnosis to bring on past life regression and put it to use today. In his practice he meets with clients wanting to discover why they are the way they are based on how they were in the past. You can do the same through his PLR (Past Life Regression) Hypnosis MP3 download. Past life regression is a topic that fascinates so many people. Hypnosis is a very popular way to explore past lives. I’ve had many clients come to me wondering why they are the way they are. And we are able to explore this through a past life regression. When I do a past life regression session with a client, I talk with them first and explain how it works. I then have them listen to different songs that were popular during different decades and centuries. This helps them to relax and it also might help trigger something about a certain era. Past life regressions have revealed fascinating things about people. Past life regressions have received some skepticism from critics. There is no scientific evidence that the past life regressions are accurate, but the unknown is what fascinates so many people! And now I want you to imagine that in front of you is a train and that this train travels along a track, a smooth uninterrupted track; it goes off to the left. You now board the train; it is a beautiful, luxurious, comfortable train. You are the only one aboard. You are alone and safe and protected. As now the door closes behind you and the train begins to slowly move along the track and it moves a little faster now and this train is taking you to your past. Up ahead is a tunnel. This tunnel represents the barrier between this life and a previous life. You are so very relaxed and as you past through this tunnel now you are comfortable and calm and very centered. And now you are approaching the end of the tunnel and at the end of the tunnel, you will be in one of your past lives. It can be any past life, a past life of your choosing. When you reach the end of the tunnel you will be at age fifteen in one of your past lives. You are so relaxed now as the train leaves the tunnel and delivers you now to a past life, a past life of your choosing where you are age fifteen. You are fifteen years old in another time, another place, another life. I want you now to exit the train. You are safe and protected. No one and nothing can hurt you or disturb you as you now look around and you will remember everything that you experience in this session. Are you outdoors or indoors? Answer to yourself and remember your answer at the conclusion of this session. Trust your sub conscious mind, it knows. If you are indoors, what is your environment? Are you on a mountain, a prairie, a desert, by the see? Are you in a village, a town? Enjoy sensing your environment. If you are indoors, look around you how large is the room? Look down at the floor, what is the floor made of? Are there any furnishings, doors, windows, decorations? See and sense and feel your involvement. Alright now, is it daytime or nighttime? Answer to yourself. If it is daytime, what time of day is it? Look at the light. Is it daybreak? Midday? Afternoon, perhaps? The golden glow of sunset. Use all of your senses, bring them all into play, all five senses. Smell the air. Hear the sounds around you. See the surrounding environment. Feel the air on your body. Is it warm, cold, hot, just right? Take it all in, enjoy each sensation. Alright now, the impressions are coming in more and more vividly now. Trust your subconscious mind more and more. As you relax deeper and deeper, my voice becoming less and less important now. look at yourself. Are you male or female? Your mind knows. Now at the count of three look down at your feet. Notice what you are wearing on your feet, sandals, boots, barefooted, shoes. One, two, three. Now as I count again to three, step outside of yourself. See what you look like. One, two, three. Alright now, there you are. You know if you are male or female. Now, what are you wearing? What kind of clothing? What is it made of? What kind of fabric? What color? What kind of style? Look at yourself. You are fifteen years old. What color is your hair? How is it cut? How is it styled? Now that you know what you look like, whether male or female, how are you dressed? What is your environment like? Is anyone there with you? If anyone is with you, who are they? What are you doing? You are fifteen years old. You are knowledgeable. What year is this? What are the numbers that come to mind? First number…second number…third number and fourth number, sense it now. Is it BC or AD? Now you have the year. I am interested in knowing what country you are in. Trust your subconscious mind, it knows. Let the letters or the name of the country, the letters or the name of the country or place where you live come into your mind. Don’t question it. Don’t intellectualize. There are many countries and places. Let it come to your mind. There are even places that many people have never heard of, just sense the name or the letters. Let it happen. You should have the name now. Now, at the count of three let’s move forward through a very significant and important event in this lifetime you are exploring. An event that will happen in the future of this lifetime we are exploring. And as I count from one to three, time will pass. You will be growing older, a few years or many, many years. You’ll be going to a very significant experience or event. One, two, three [pause]. Alright now I want you to remember all that you are experiencing. But now it is time for you to move on. At the count of three you will find yourself working in your trade or experience in the way you spend your days. As I count to three, vivid impressions will come to your mind. One, two, three. And you will remember all of this upon awakening. You will remember all of this. And you know that you can use this recording as often as you like to experience as many past lives as you choose. So relax now, relax comfortably. And now you imagine your train in front of you again. Your beautiful, luxurious, comfortable train and now you get back into the train and it slowly moves along the track, bringing you back, back to the present. You move faster and faster and past through the tunnel, dividing your past lives from your present life. And you now arrive safely and comfortably, and peacefully back at your present life. And you are so very relaxed. And you still have and will always have the memories of the past life you experienced. This past life regression hypnosis session is a way to take you back to your past life or past lives. You can use this program in order to have fun, or to gain information that may connect you to your current life. You will learn fascinating things on your journey to a past life. You must also be prepared that you might see unsettling things in your past life. You are looking back in time and seeing your history and there is no way of knowing what you will find. During the hypnotherapy session, you will be relaxed into a deep state of relaxation. Then you will be taken back in time on a train. This train my travel back in time to just before you were born, or the train may take you back thousands of years ago. Different questions will be asked to you to help you figure out where you were and what year it is. You will be taken to a significant event that occured during that lifetime. Past life regressions are meant to be informative. A lot can be learned by traveling to past lives under hypnosis. You can listen to this PLR (Past Life Regression) Hypnosis MP3 recording as little or as often as you would like. If you want to travel back to see more than one past life, then we encourage you to do so!